As I'm just starting my sugar-free journey I wanted to try to do some different meals. 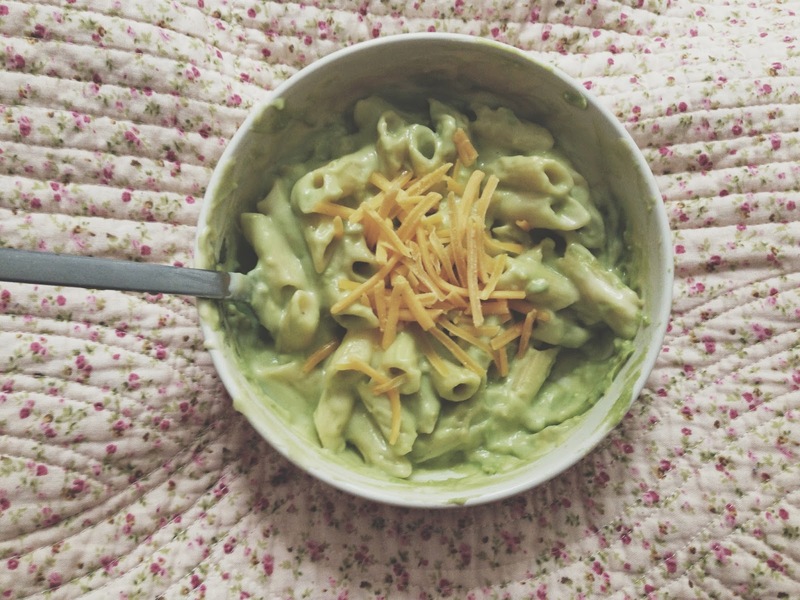 Off I went in search of some inspiration and I came across this macaroni cheese recipe with a twist - avocado. I've been doing a little research into the things I should be eating and avocado is up there with the best. It's full of good fats and has a very butter-like texture so it's pretty versatile. I thought this recipe was a great chance to get avocado into my diet whilst still being quit discreet. Mix your garlic, avocados, lime juice, salt & pepper and coriander to a smooth paste and put aside. Then make a white sauce using the milk, flour and butter and then add the cheese. 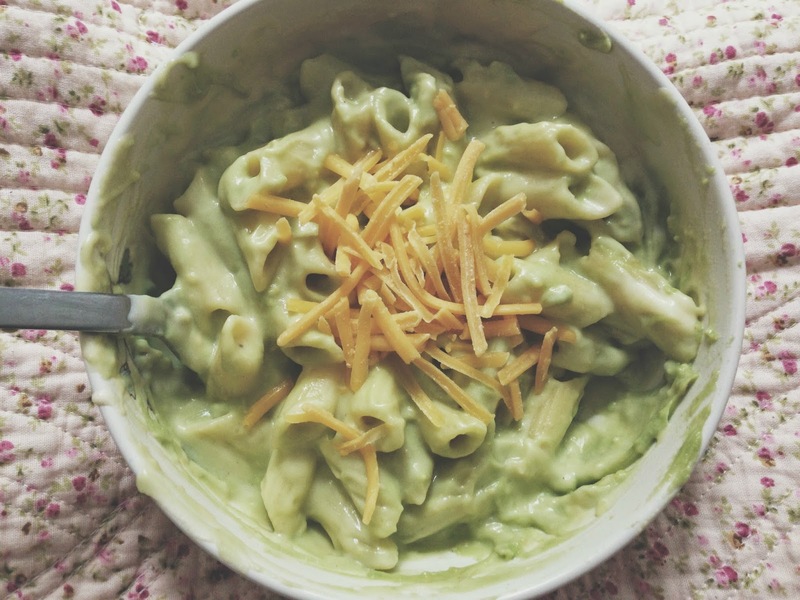 Cook the pasta and mix with the avocado sauce then pop on your cheese sauce and mix again. 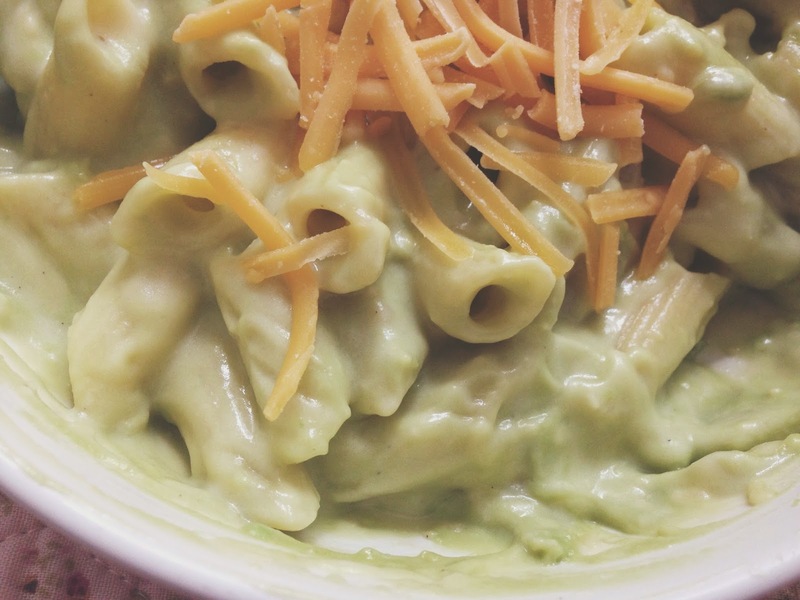 And voila, Avocado mac and cheese. I actually added an extra sprinkling of cheese to finish off my pasta, but you could equally add bread crumbs, fresh avocado etc. I followed the recipe word for word, minus the cilantro aka coriander. Unfortunately mine didn't photograph quite as well as the original but I think you get the jist. I also think I put a little bit too much avocado sauce on my portion but hey ho, I know for next time. This is a really quick and simple way of getting more goodness into your diet, but still being able to enjoy one of your favourite meals. If you're an avocado lover you'll be obsessed with this meal, if you're not I still say give it a go, you might change your mind. This is such an interesting spin on mac & cheese. I've never tried avocado, but always wanted to. I am a bit fussy though and struggle with new things but I'm trying to branch out so I think I'll try this! Wow, I like you have heard loads about Avacado but can't be bothered buying it because I'm sure I won't like it but I absolutely love Mac and Cheese so you may have just given me a way to incorporate it into my diet! Thanks lovely. Oh yum, this looks so delicious. I love avocado but unfortunately my fiancé is not quite so keen, so may have to make this on a night I have the flat to myself! I cannot get over how amazing this looks! Definitely bookmarking this page. This sounds SO incredibly yummy, I'm going to bookmark this page for sure!